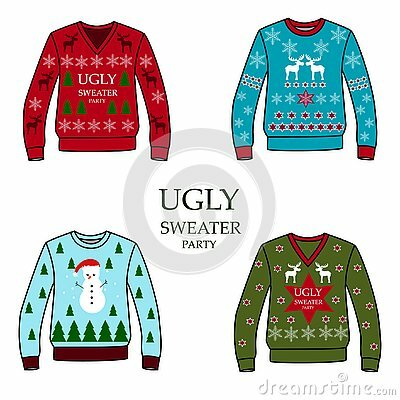 nMulticolored christmas party sweaters. nSnowman sweater. Sweater with deers. Sweater with Christmas trees.Ugly sweater party, . Penguins on the ice floes. Watercolor seamless pattern with New Year multicolored balls isolated on white background. Christmas multicolored glass balls on a transparent background. New Year`s transparent glass ball. Vector illustration.